Being a producer for Strange Music is a demanding role. 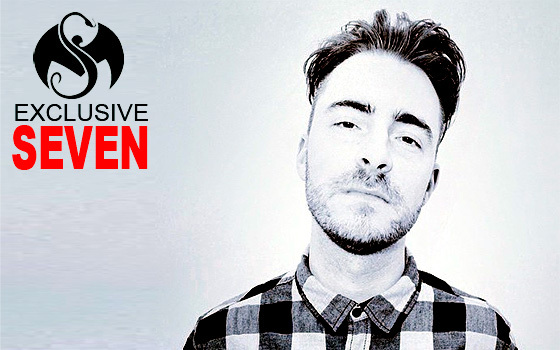 No two albums sound the same, due to the diversity of artists on the roster and the inventive vision of in-house producer, Michael “Seven” Summers, the man behind the beats. Krizz Kaliko and Seven finally found the right time to try something new – musically. We spoke with Seven about what went into producing Krizz Kaliko’s new album GO, what sets it apart from the past, and the focus on live instrumentation. With the direction of this album, GO, it creates a new lane for Strange Music. Was that the goal behind it, to branch into other genres? Me and Krizz have always talked about doing something like this for years now. I feel like we’ve had conversations about doing an album like this at the beginning of every album for the past two or three albums. This one, we just decided to do it. I feel like with the other albums, it just wasn’t the right time yet. It’s definitely been at the forefront of our minds for the past couple of years. This album, we just took it there. What set this album apart from previous Krizz albums? I think the songs are just bigger, better. Well, I won’t say better, but I feel that we just really paid attention to song-writing. Before, we would make songs and never really focused on the actual song writing aspect of it as intensely as we did on this album. We really approached it from almost a pop music standpoint, sitting down on a song before there’s even any production to it, and building around the song that’s there. There’s that element, and there’s the live instrumentation and phenomenal musicians that we worked with on this album which helped enhance this album. It all just came together in an organic, honest, and more unique way for Krizz. In the past, has Krizz taken command of writing and you take over production from there? The way me and Krizz work is kind of unique compared to how I work with everyone else. We’re both kind of working on everything. The ideas are coming from both of us. It’s all just working really well together. On this, sometimes he’d have ideas on how he wants the entire beat to be laid out. Even with the chord progressions, we’d sit down at a piano and come up with the chord progressions together. There would be songs where I’d have the entire concept for the song. “Outta Line” was a song that we sat down and built that one together. I just sat down at a piano and built the chord progression with him. He knew what he wanted – he knew how he wanted the drums to go, the bass-line, everything. We just worked it out together. “Talk Up On It” was the same way. You’ve got songs like “Wallflower” – I already had the concept for the song before I even made the beat. I had a melody in mind, the hook, then put the beat together and showed Krizz from there. We both did everything on this. As far as live instrumentation goes, how did you and Krizz decide that route? After we finished a song, we’d be like, “This would be really cool with a brass arrangement on it.” Steve Lambert is an amazing arranger and song-writer. I had worked with him before, but never in a way where he worked on an original brass arrangement. I wanted to do that. Krizz’s album definitely felt appropriate. We got done with “Orangutan” and felt like, “Oh, we should add some brass to this.” In fact, there are a lot of songs on the album that we thought would be cool with brass, but ended up just liking the song the way it was. We had that conversation for a lot of songs and it became a thing where the brass was sort of the sound of the album. We have the brass and also the female background singers. Those two things, I feel like are the spine to the album. Those are incorporated into almost all the songs, giving it its sound. Anytime I work on an album, I try to figure out something that can be an ongoing theme throughout the album, a special ingredient. On Krizz’s album, it was just the female vocals and the brass. How does this approach affect future albums for Krizz? 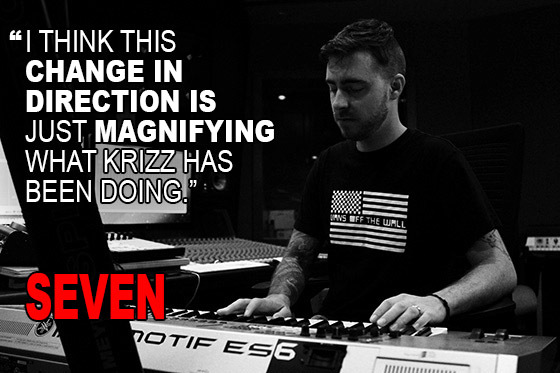 Well, for Krizz, I think this change in direction is just magnifying what he’s been doing. Like I said, from just really focusing on the song writing. So, for Krizz, I think that this opens up a totally new lane for him. For me, it just revitalizes everything that he’s been doing. In a lot of ways, he feels like a new artist. He’s far from his first album, but this feels like his first album – and that was the way I wanted to treat this. Before we started working on this album, I told Krizz, “let’s pretend like we’ve never done an album ever before, so let’s not compare it to any albums”. I feel like this came out as if it’s a debut album from an unknown artist. Which is cool – that’s how I wanted to approach it. I feel like it paved the way for other artists on the label that would like to fall under a pop lane. I still think it’s unique enough that it’s not considered mainstream pop, but I definitely feel like we’re paying a lot more attention to just making great songs. I just think it’s a new way of making albums even for the other artists on the label. Obviously all of our artists are very diverse. Do you ever find it difficult to switch between artists? It’s hard to work on multiple albums at the same time, but it comes naturally. Although it would be hard to work on a Prozak album and a Krizz Kaliko album at the same time. Once I’m done with an album, I’m just done with that album. I don’t abandon what I was doing, but I definitely close that chapter. Whatever I’m moving onto next, I leave everything I was doing behind in order to come up with new ways of thinking about production. New sounds, new drums, just everything different. I don’t want to copy or repeat anything that was done an album before. I’m always really afraid of another album that I do, sounding like something I’ve done before. I don’t ever want to sound the same. Once I’m done, I’m done. Is there anything else you’d like to say about this album? I’m really excited for everyone to hear the album. A lot of work went into this. 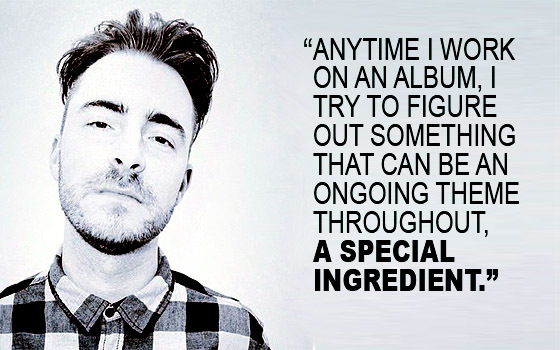 We pushed the album back several times – just to make sure that it was as good as it possibly could be. We paid more attention to things on this than ever before. I paid more attention to things on this album than probably any album that I’ve ever worked on. You can nitpick an album forever and I’m glad that we got the amount of time that we did to make the proper changes. I’m really excited for it. I hope everyone likes it. What’s your favorite album that Seven produced? How do you like Seven’s production on GO?